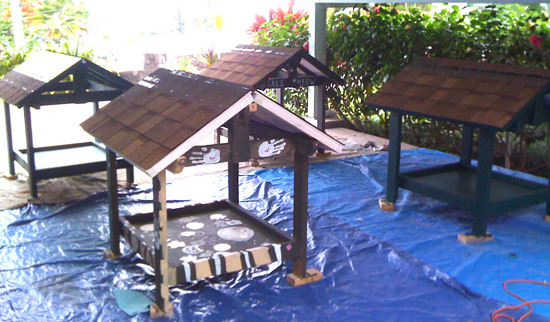 Rotary Club of Kona Mauka members, along with their families, recently put together four cat shelters for advoCats Inc. – a non-profit organization based in Kailua-Kona whose mission is to protect the rights of feral felines. The club was searching for a project that would be in line with “Rotarians at Work Day” and this was a purr-fect match. Since 2006, Rotarians At Work Day was established at the end of April. 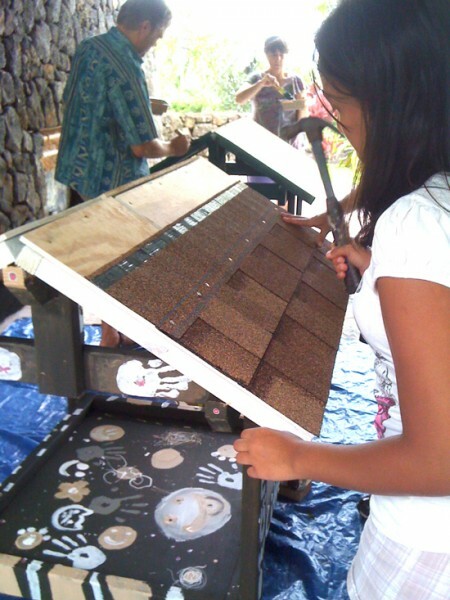 The purpose is to identify a hands-on project that all members can participate in to help their local community. 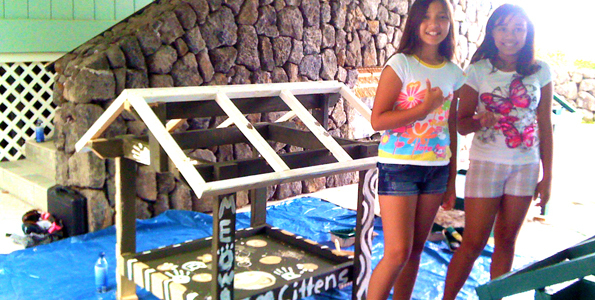 AdvoCats is dedicated to the well being of Hawaii’s abandoned and homeless cat populations. These “hales” will be put in identified locations by advoCats of where feral feline colonies exist in the West Hawaii community, in order to be able to provide a place for shelter and food for volunteers who feed and care for them. The shelters will also assist the Trap-Neuter-Return program in order to control overpopulation as well as maintain good health within these colonies. Since 1999, advoCATS, Inc. has spayed and neutered 10,200 cats. They have saved an unbelievably large number of kittens from being born feral. Kona Mauka Rotary Club consists of over twenty members from the Kona community. They meet at noon every Tuesday at Teshima’s Restaurant in Honalo. If you are interested in finding out more about Rotary, contact Donna Hiranaka at 938-4194.